Ground floor condo in this gated building offers convenience and security just minutes to Downtown Charleston and Folly Beach! 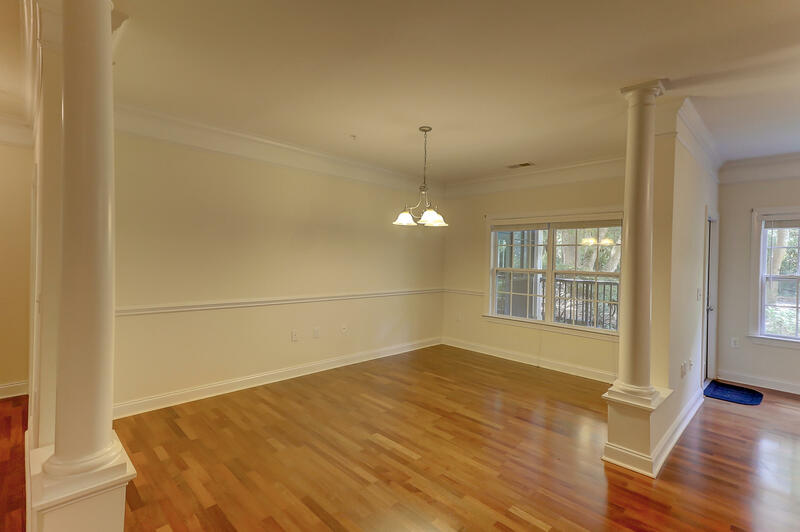 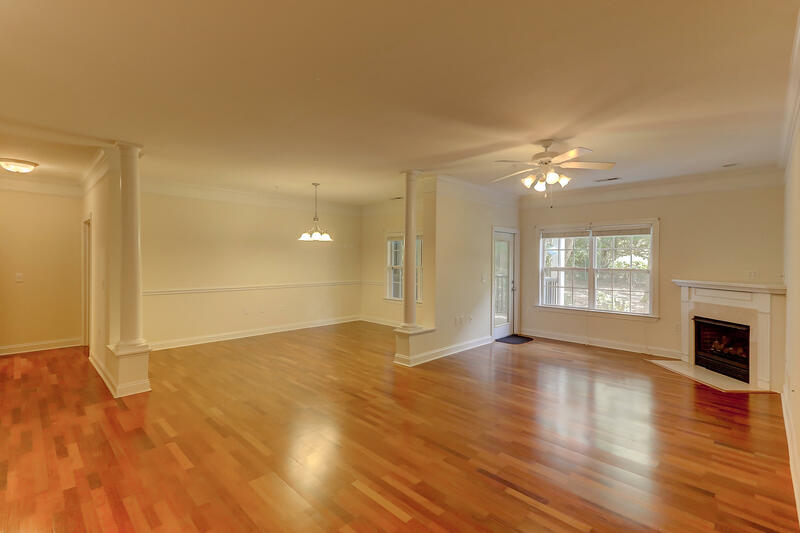 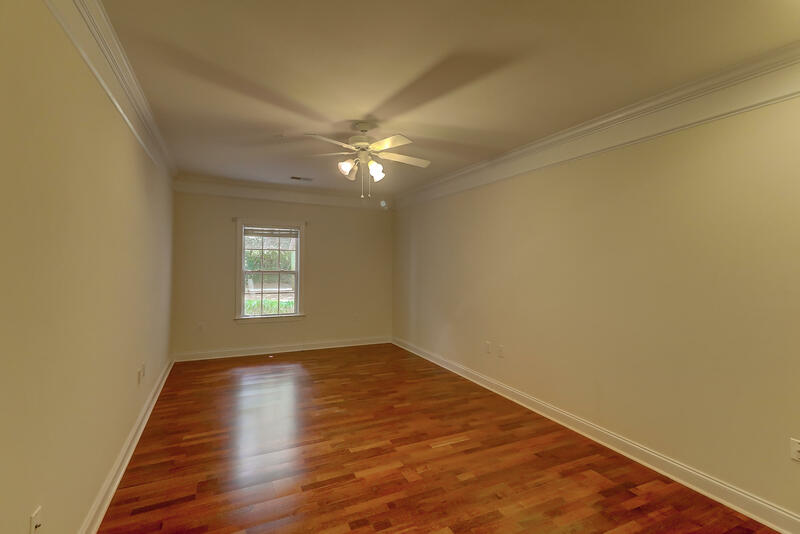 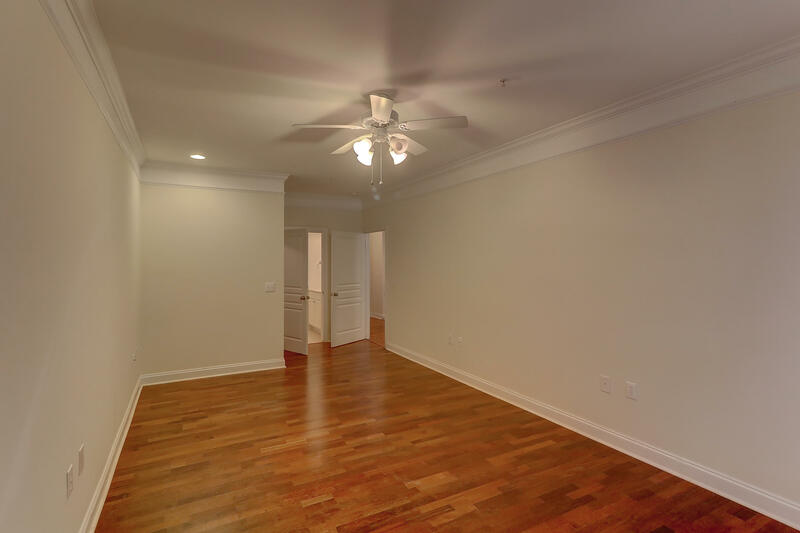 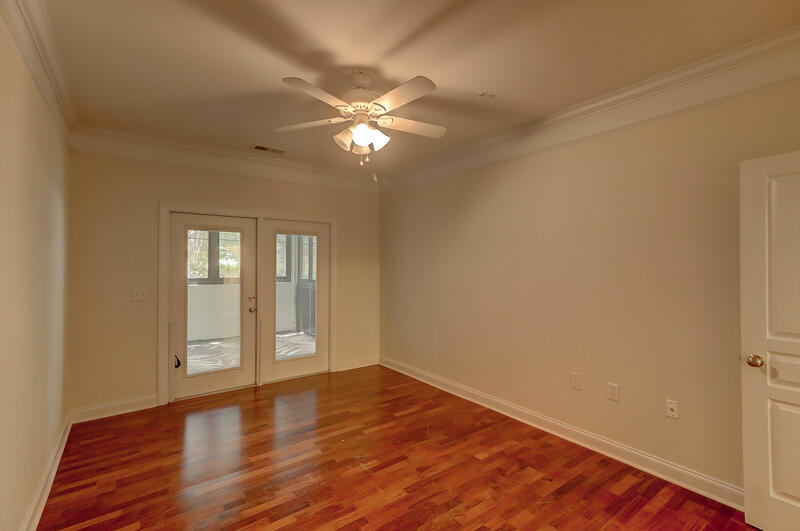 Wood floors and heavy crown moulding throughout really make this condo stand out! 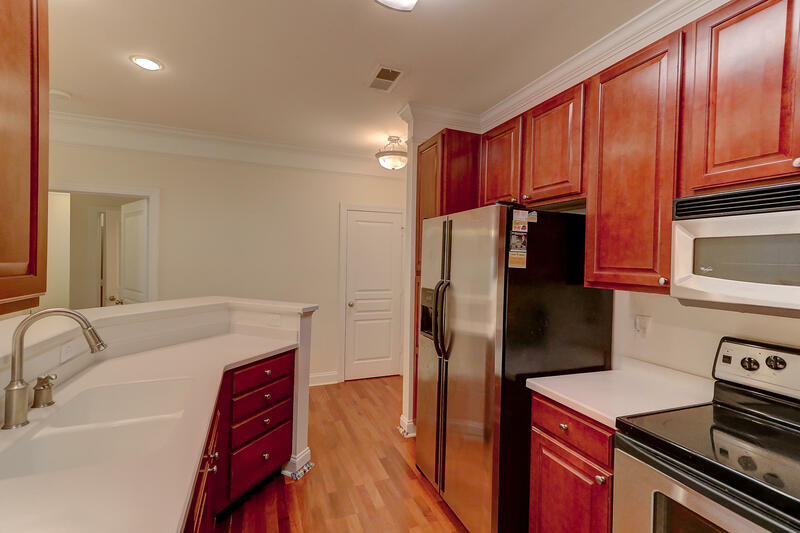 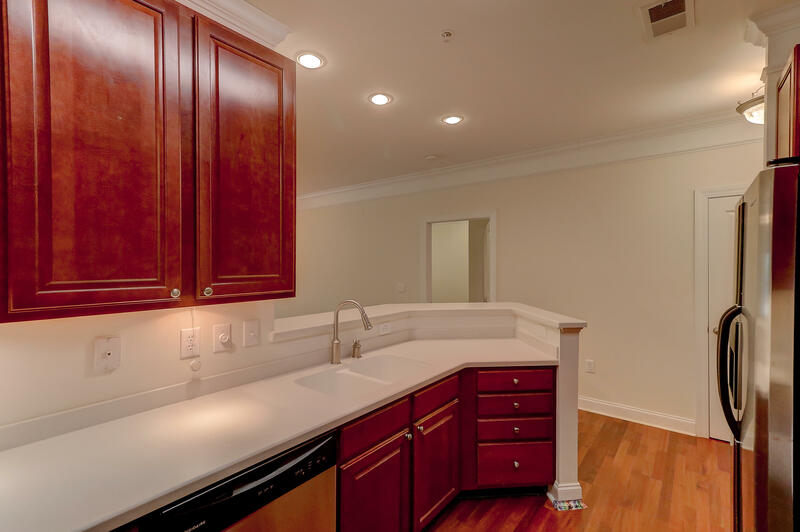 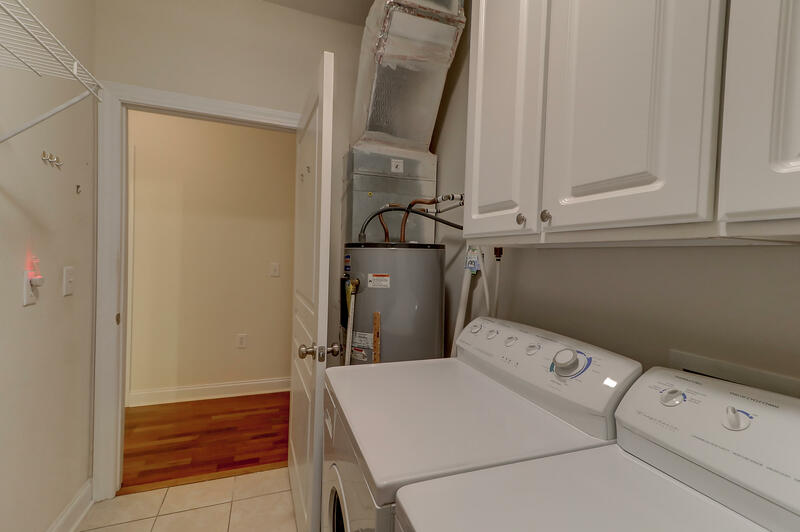 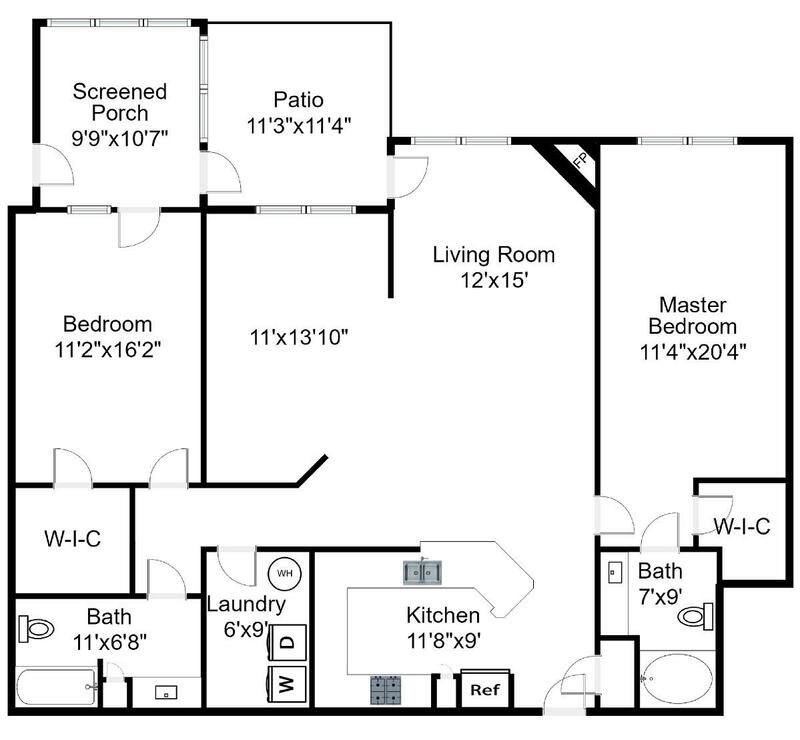 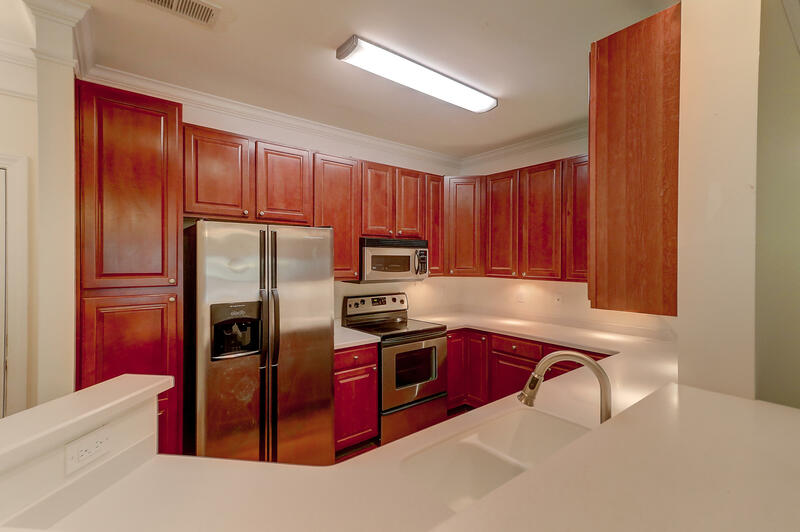 The kitchen boasts all stainless steel appliances with a bar top that opens to the very spacious den. 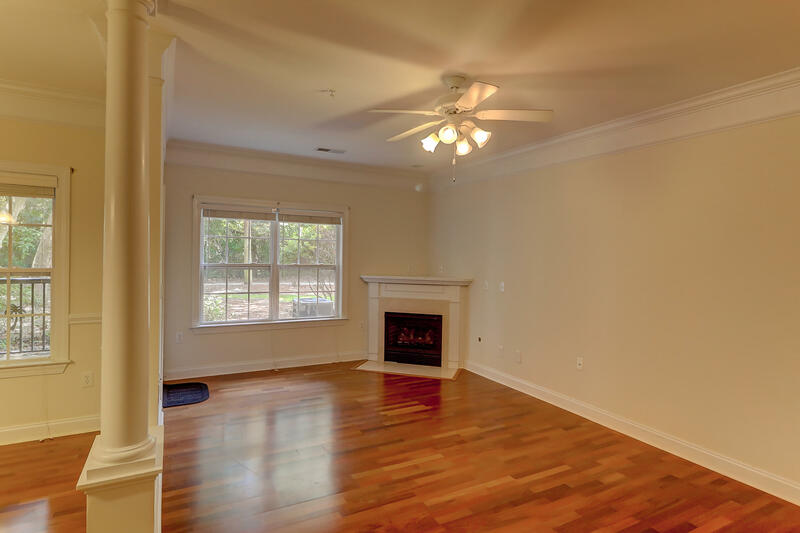 Here you'll find a gas fireplace and double windows looking out to the woods and walking trails directly behind the home. 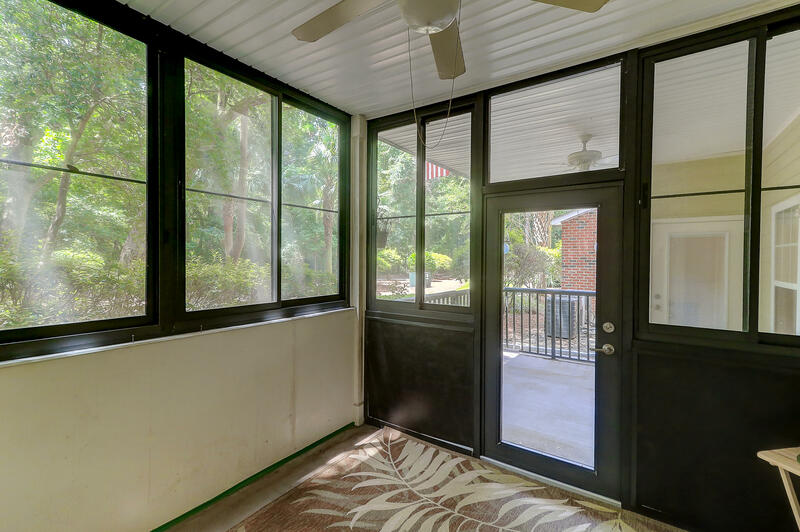 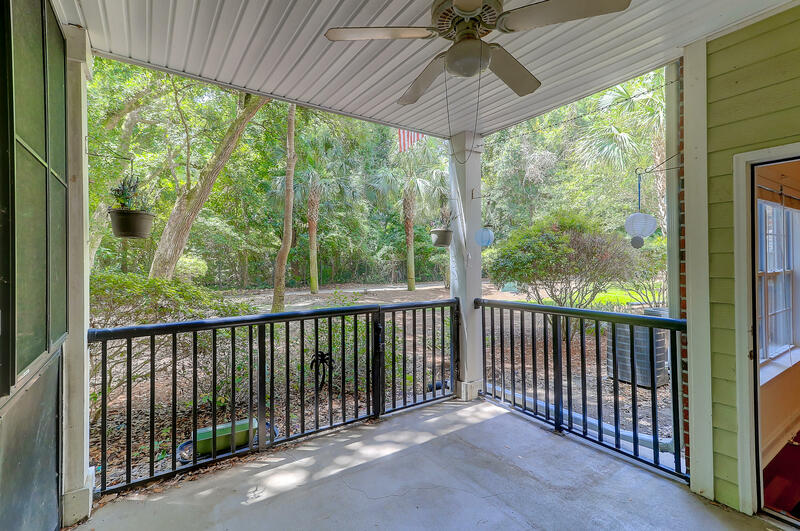 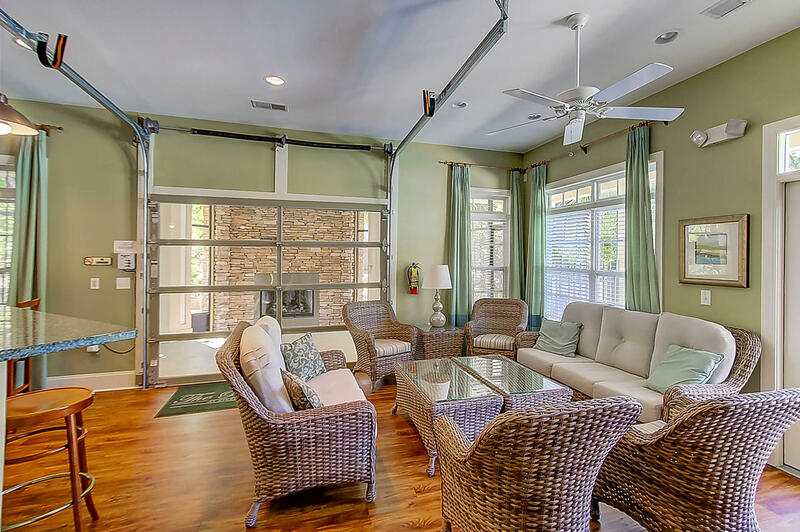 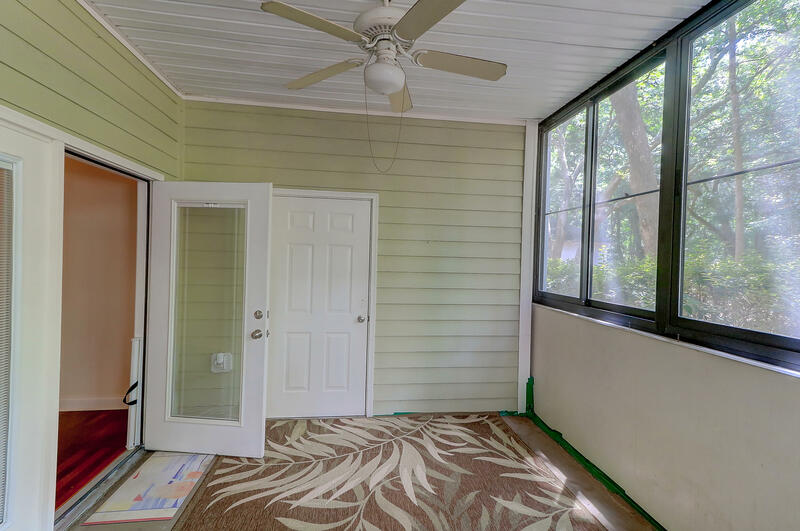 A door leads to the covered patio that is perfect for outdoor entertaining (note the gate in the patio railing for easy access to trails)! 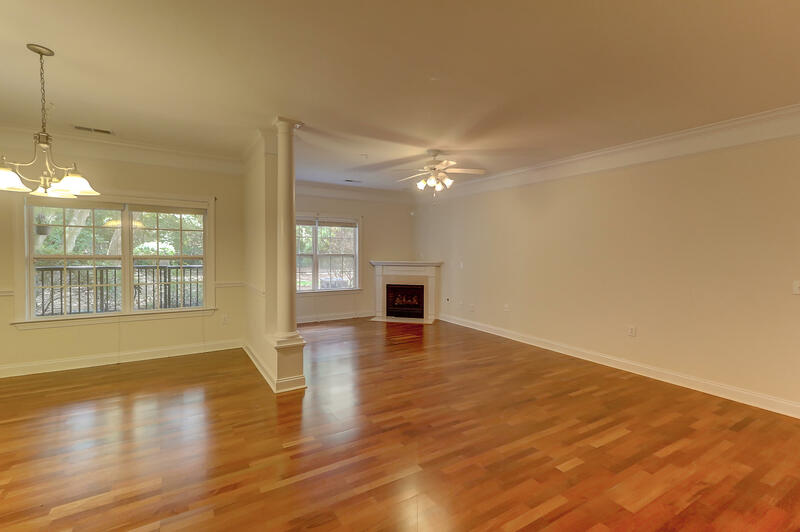 A separate dining room overlooks the den/kitchen in an ideal open floor plan! 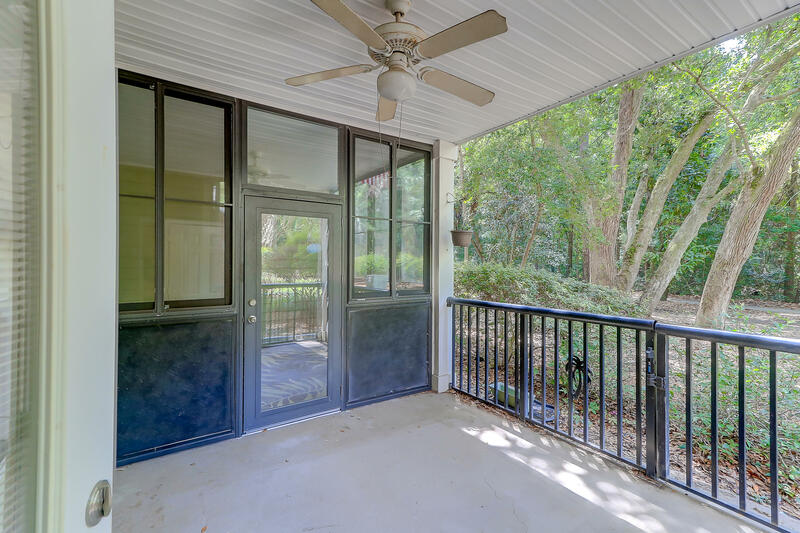 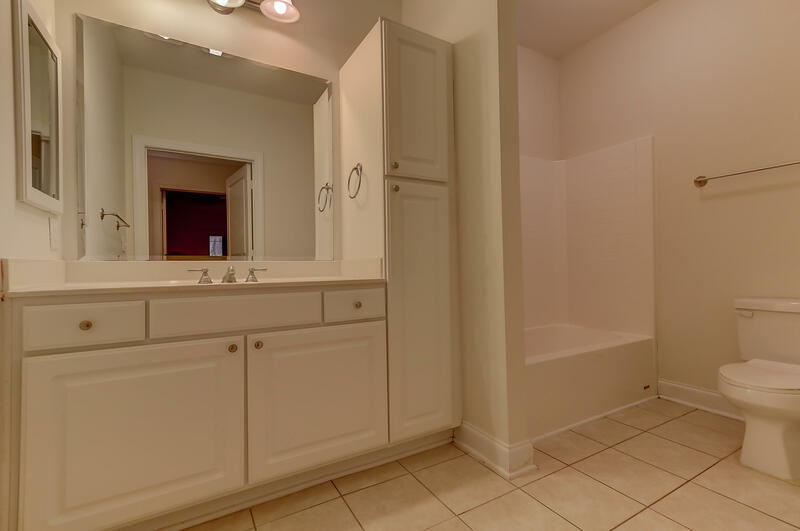 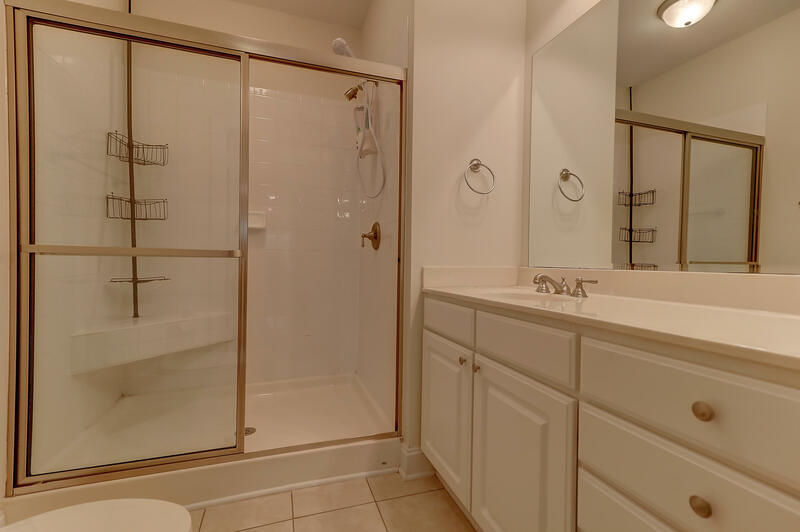 Dual master bedrooms boast beautiful wood floors, large walk in closets, views of the woods behind this condo and spacious baths with tile flooring. 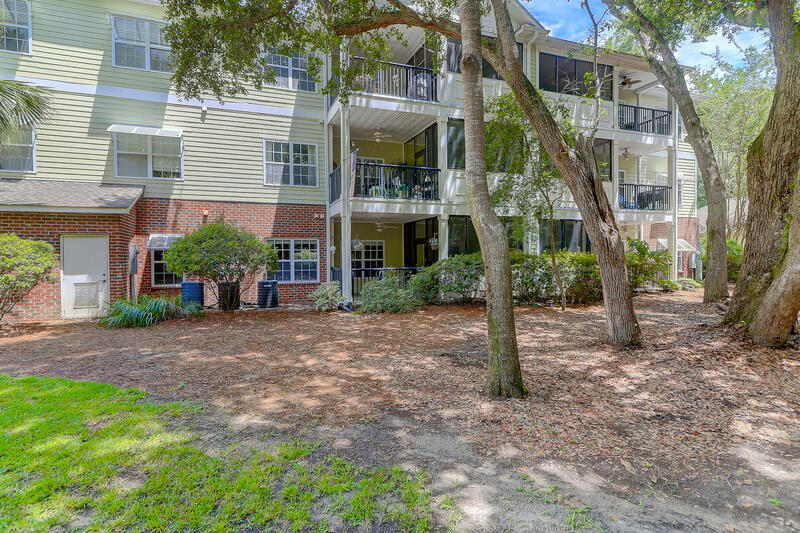 Directions: From Downtown Charleston take Folly Road towards Folly Beach. 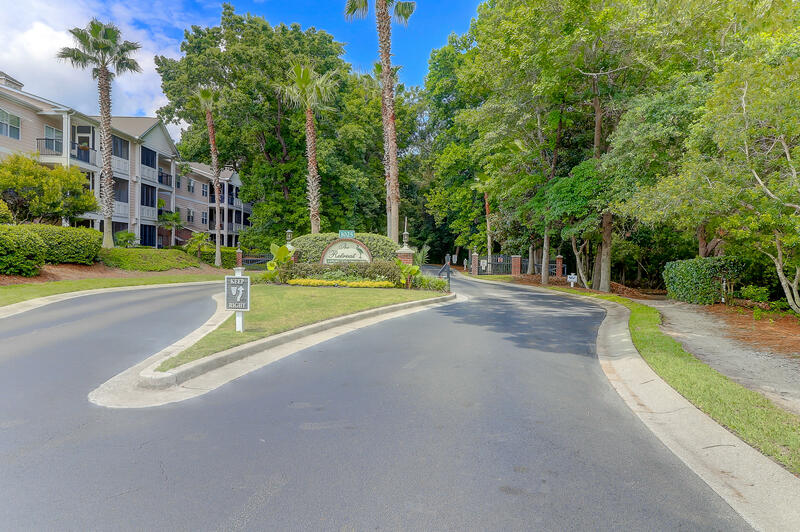 Turn right onto Riverland Woods Place. 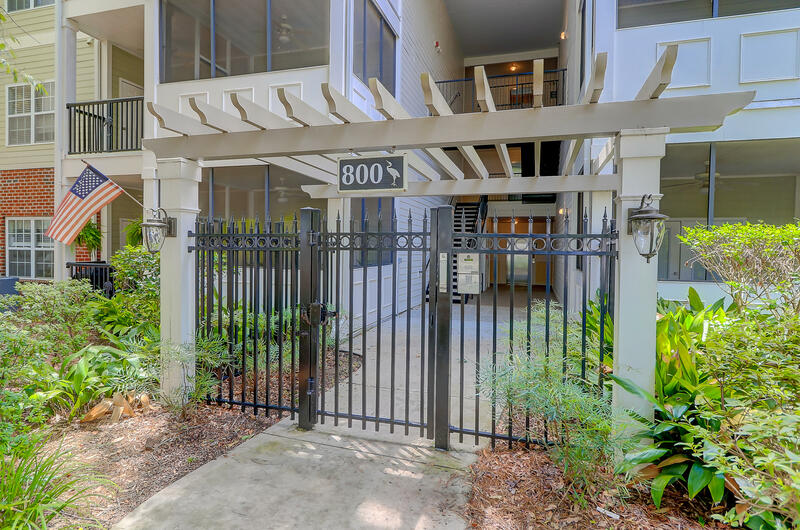 After gated entrance continue straight through the roundabout to get to building 800. 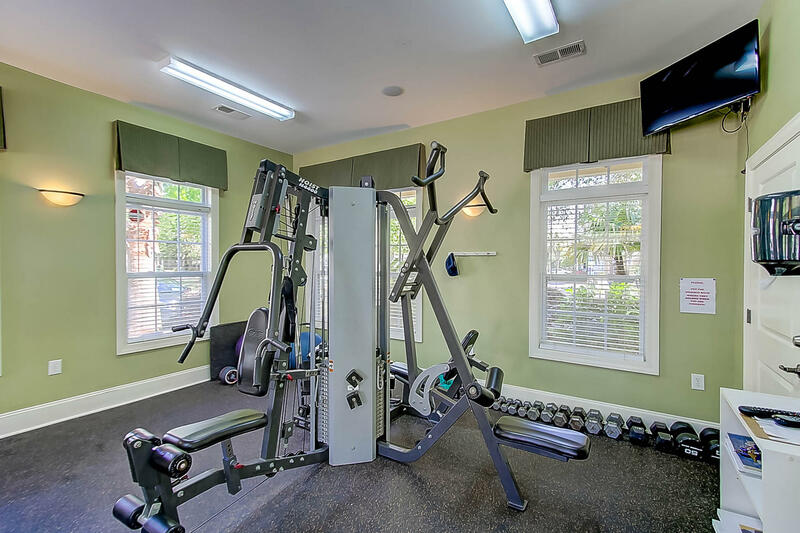 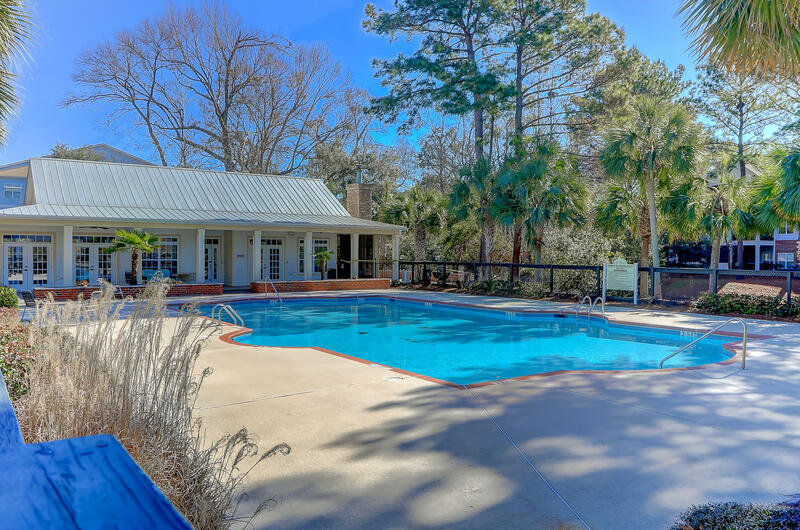 Enjoy a quick walk to the community pool, club house, and fitness center (optional boat storage also available). 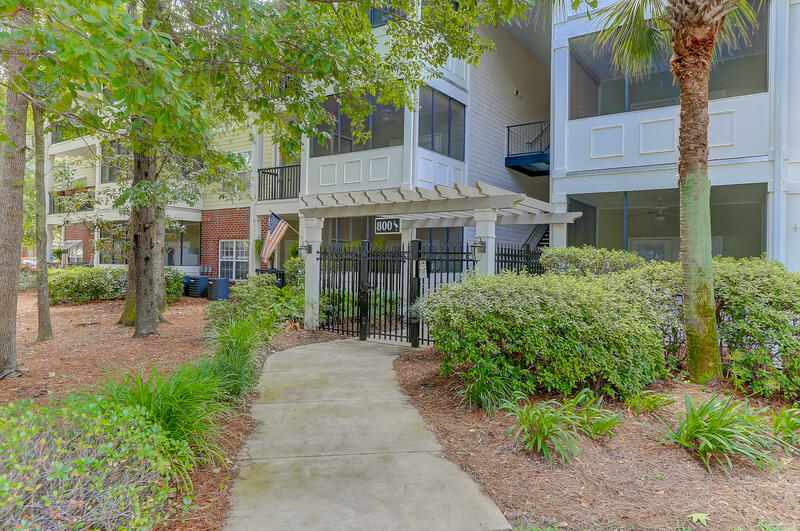 This luxury condo offers low maintenance living at its finest so you can enjoy all the shopping and restaurants of James Island, or take an easy 5-10 minute drive to Downtown Charleston or Folly Beach!